The start of Europe’s largest and best poker tournament is in full swing as poker players from all around Europe prepare for season 5 of the European Poker Tour (EPT), hosted by online poker room PokerStars. The 5th installment of the European Poker Tour starts in the beautiful European city of Barcelona in September 2008. The No Limit Hold’em four day event is held from September 10-14, 2008 at the Gran Casino Barcelona. PokerStars is giving players plenty of ways to qualify for the EPT in Barcelona which includes a $16,700 prize package equipped with the tournament entry, hotel accommodations, and additional money to cover expenses. 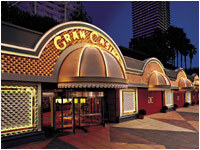 ACCOUNT HOLDER: Gran Casino de Barcelona, S.L.U. 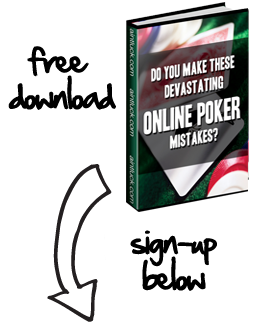 You can qualify for the EPT by signing up for the PokerStars Poker Camp. PokerStars is running satellites to their Poker Camp final on August 3rd. Tournaments are running daily and buy-ins are $8.80 or 250 FPPs. Players making it to the final on August 3rd will compete for one of 10 packages to the PokerStars Poker Camp. The Poker Camp prize package is worth $4,000 and includes 3 nights in Barcelona and a two day training camp with exclusive lessons from PokerStars Poker Pro’s Greg Raymer, William Thorson and Luca Pagano. The 2 day camp will culminate with a live tournament where the top 2 win a seat at the 2008 EPT in Barcelona.